About a year ago, actually Thanksgiving week 2013, my wife and I decided to take a road trip to visit friends that live in the Northwest. Coming from Denver, that is about a 24 hour drive, and I knew I needed something to occupy my time, just so I could stay awake. I started looking for books on tape. I am a little particular in the type of books I like to listen to or read…I really only like to read non-fiction about business. I do not like theory or idea books. I like to hear real stories of business owners and entrepreneurs who have actually done things, and to learn how they did them. Some of my favorites include Bruce Halley’s story, written by Michael Rosenbaum, of Discount Tire in Six Tires, no Plan, Anything you Want, by Derek Silvers and the story of starting CD Baby, Delivering Happiness by Tony Hsieh the founder of Zappos, or Small Giants, a compilation of stories that tells the story of a dozen or so varied businesses and their owners, that decided to focus and stay small to succeed, by Bo Burlingham. The problem for my trip was, I really couldn’t find anything good, and I really did not want to spend the money to buy something that I might not like. I knew about podcasts, but had never been able to find anything I liked listening to. Either the audio quality was crap, or the show content was boring, or the format was that of a pitch-fest. Then I found Timbo! 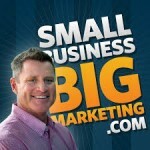 Timbo Reid of the Small Business Big Marketing podcast. I listened to his shows for almost all my awake time on the drive there and back. I was hooked. His show was engaging, well produced, funny, and GREAT content. The trifecta…only with four things, and I have no idea what that is called. Over the next few months, I worked my way through all of Tim’s shows, and still wanted more. It was like a drug, but there was no more new content to consume. So I went looking for more shows. There are tons of shows in iTunes. Even tons of shows in the small business or entrepreneur categories, but the reality is, most of them are not very good. Because of this, I was encouraged to re-launch our show, Small Business Naked, which I feel, and many have confirmed this, has good content, is an engaging podcast, and fun to listen to. But I still find myself wanting more. If you are anything like Johnny and me, you find yourself driving around a bunch every day. As a small business owner, I have a lot of responsibilities, and those responsibilities take me all over the city. Thirty minutes to drive here, twenty minutes to go there, and every once in a while an hour drive across town. Where I used to just listen to music, now I fill those times with podcasts, and am constantly looking for new ones. Podcasting is great, it is easy to get into, you can talk about anything, but because the low barrier to entry, anyone can do it, and does. Not many will ever have a successful podcast with tons of listeners, but a select few will, because they take the time to put the right energy and effort into it. It is those podcasts that I want to share with you. 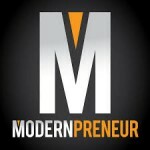 Entrepreneur Podcasts On The Rise! 10. The Starters Club with Erin Smith. Erin has a few different formats, but mainly interviews entrepreneurs that have a service for small business owners. She does interview a lot of women business owners as well. But she interviews people that have good content to bring, and I have learned a lot from her podcasts. 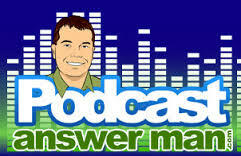 Podcast Answer Man with Cliff Ravenscraf. Cliff is a machine. He has several podcasts, and teaches others how to podcast. 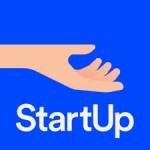 Tons of great learnings on this podcast. They are long however, and I do have to listen to him on 1.5X speed, as he speaks very slowly. He is a wealth of knowledge, and good to listen to if you are considering podcasting yourself. Online Marketing Made Easy with Amy Poterfield. 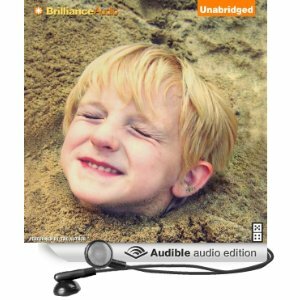 This is a newer podcast for me, but I have listened to several. 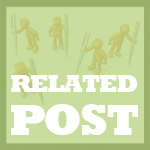 It is mostly about social media marketing, as Amy is a Facebook guru. She speaks all over the world and has a very loyal following. Great podcast to learn how-to’s of social media marketing. Sales Marketing Profit with James Schramko and Taki Moore. These guys are awesome. 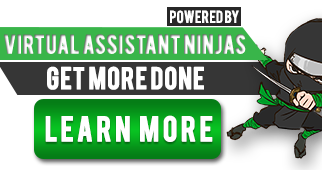 If you want to learn how to get into coaching or online marketing, they are the go-to-guys to listen to. This one won’t be for everyone, as they do not really touch on brick and mortar type stuff, but No filler, all Killer is one of their mantras, and it is no lie. Not much fluff here, but I do laugh a ton while listening. If there was a podcast I had to slow down the speed, this would be one. Taki talks at a mile a minute, and there is no stopping him. Might have to listen to each show two or three times if you can’t take notes. Great thing is that it is a podcast, so you can listen as many times as you want. 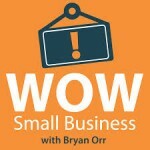 WOW Small Business with Bryan Orr. Bryan is a guy after my own heart. He is a co-owner in a home services business, believes in good content, and can cut a joke about himself or two. I have thoroughly enjoyed several of his guests, and have learned some great stuff. 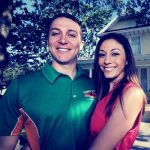 I always like hearing from folks that have real businesses, so that could be why I connect so well with Bryan and his podcast. 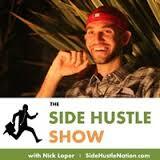 Side Hustle Show with Nick Loper. This is a unique podcast in the fact that Nick is all about people starting a side business. Many of the guests he has on the show start side hustles that turn into full time businesses though. Nick is entertaining, focused on good quality, and is living what he talks about. Many of the ideas on the show, he has tried himself. Biggest disappointment on the list, but I like the content so much, it shows up high on my list of best business podcasts. Craig is no longer producing shows. I have tried to reach out to him to find out what happened, but have not heard back. There are only 19 shows, but all are really good. Some I did not think I would connect with, but wow, good stuff. The website he created and the graphics for the show images is amazing. I wish Craig would come out of hibernation and create some more shows. If you have not heard of this podcast, you live under a bigger rock than I do. It is great! Still early days for Alex and Gimlet Media, but they are killing it in iTunes. Alex started this after a career at NPR and had a huge following from being on This American Life and Planet Money. They only have 11 episodes, but it is really good. Very honest content about starting a podcasting business. Small Business Big Marketing with Timbo Reid. The small business podcast that got me interested in podcasts. Tim’s unique in the fact that he is a great marketer, great interviewer, and all around nice guy. He brings on a wide range of guests from inventors, to entertainers, to publishers, and franchisers. All with one thing in common: they are doing something great around marketing their small business. Timbo will make you laugh, he will motivate you to do better marketing, and will give you an idea or 10 to improve your business. #1: Small Business NAKED with Nick and Johnny. Well can you blame me? I will say that it was a tie for first for the best business podcast. We love bringing great guests and great content to our listeners each week. We have lots of laughs, try to get down to what really makes small business owners and entrepreneurs successful, but, we have had a few sound issues along the way, but for the most part, I believe it to be the perfect podcast. If we only had the time to produce more shows. If you are a small business owner looking for ideas to help launch or grow your business, check out our weekly podcast Small Business Naked. Each week, Nick and Johnny bring loads of insight to how they started and grew their business, as well as insights from amazing business founders from all over the world. You disagree with my ranking of Small Business Podcasts? Have one to add to my list you believe is the Best Business Podcast? 25 – Tom Shane, founder of the Shane Co.
01 – Small Business Podcast: Why Naked? Small Business can learn Something from Smokers!